Workshop Scraps: What Exactly Can You Do With Them? Save your materials and your money! Being a DIYer can be hard. After all, you have to go and look for all the supplies for your current project, and if you don’t measure things exactly – or have to buy in odd numbers – you will be stuck with leftover scraps. So, what can you do with those? It just doesn’t seem right to throw them out when they’re perfectly fine, and you spent your hard-earned money on them, right? 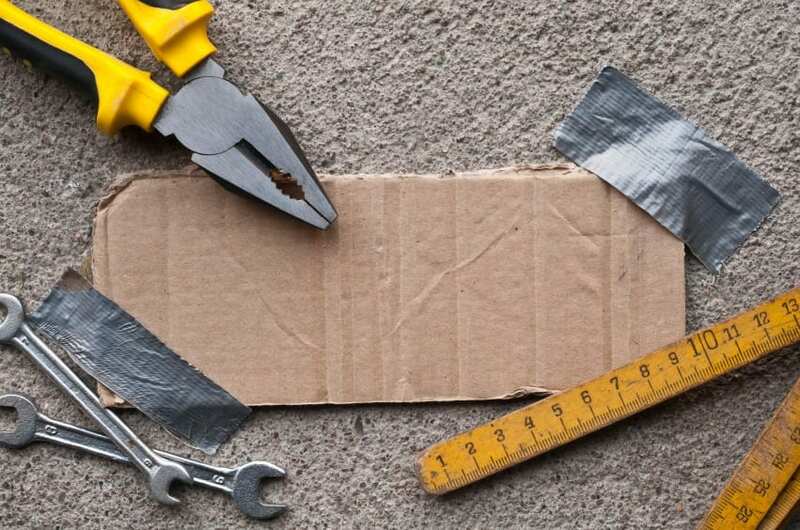 Try these five clever ways to reuse your workshop scraps to reduce the amount of materials (and money) you throw out. If you’ve got large potted plants on your patio or deck, use leftover paint stirrers and other similar size sticks to help raise them off the ground. Cut notches into the sticks about 1 ½ inches apart, and slot them together into a lattice as thick as the sticks are wide. Use these to support your plants and keep them off your deck! It helps your plants drain better, which avoids root rot and overwatering, and also helps prevent your deck from rotting under the constantly damp pot. If you don’t have a wooden deck, this will still prevent staining from the pot and the water on your porch. Have a tile shower, or counters? Make the grout shine again with just a gentle scrub. Use leftover sandpaper to clean out your grout. Start off by taping the glazed surfaces to avoid damage, and fold the sandpaper piece until you can hold it against the grout. Rub gently to scrape out stains and gunk, and apply a grout sealer once dried. It’s a great way to use up some of that sandpaper for the sander you borrowed, and will leave your house looking even cleaner than before! Everyone has a few old drawer pulls that have shown their wear or noticed that their cabinet knobs aren’t as shiny and pretty as they used to be. Having leftover shellac could be just the thing to make the little things sparkle. Remove whatever hinges, knobs, pulls, or other hardware you want to protect, and carefully paint on a layer of the shellac. The natural ingredients that the shellac comes from can be good for the items, and will even prevent brass from tarnishing so quickly. When it comes time to rake the yard, gathering up the leaves and bagging them can be more than just a boring chore. After hurting your back time and time again, why not make things a little easier on yourself? Reuse piping, whether PVC, metal, or other plastics, to create a small frame. You can use this to prop open the garbage bag, helping you clean up the leaves by acting as a dustpan! After using just a small amount of that thing of foam spray you bought, why not put it to good use somewhere else? Spraying a hardening foam around where your laundry machine hooks up to the water supply can help silence it during a spin cycle, stopping the vibrations from shaking your house. No more constant banging on laundry day! What do you do with leftover workshop scraps?